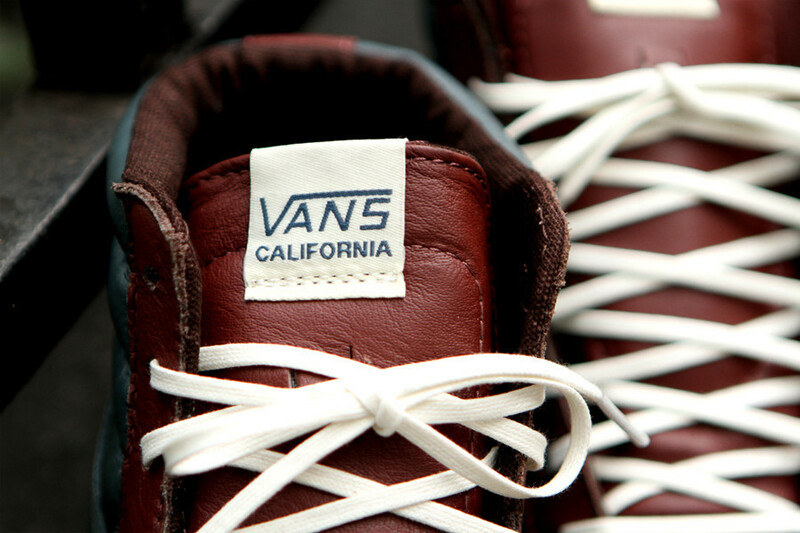 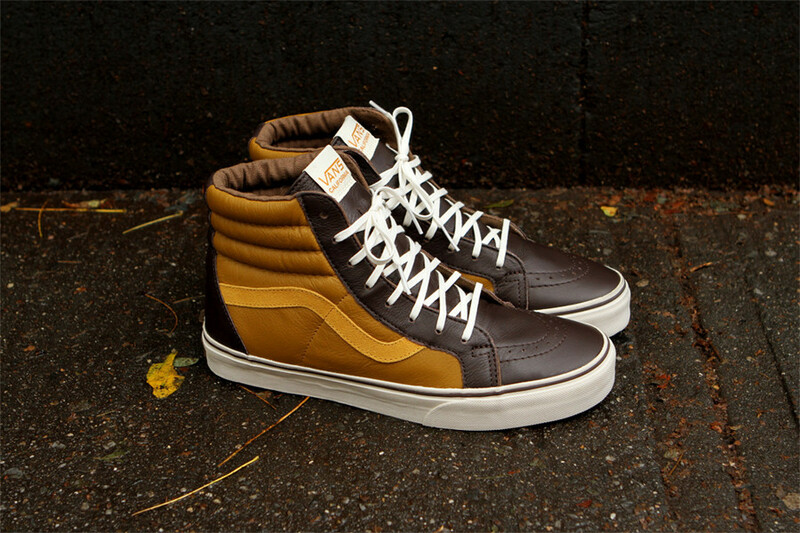 Vans California releases a premium leather edition of the classic Sk8-Hi in two colorways. 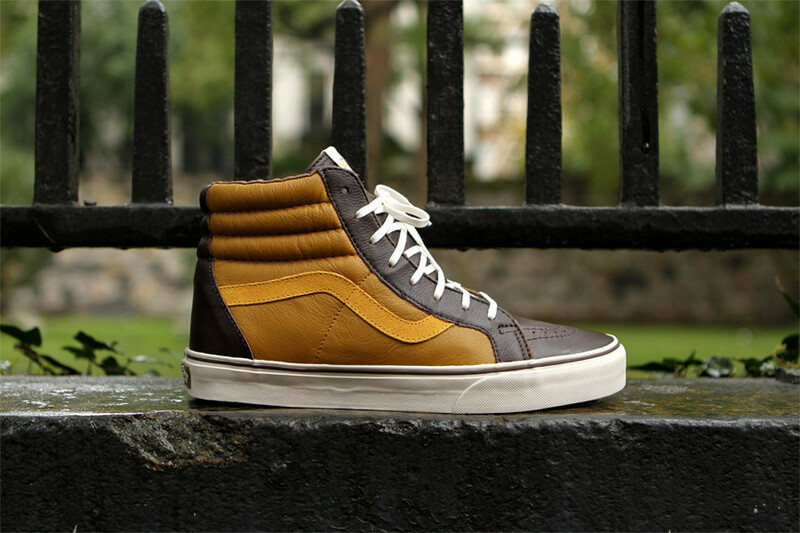 Vans California releases a premium leather edition of the classic Sk8-Hi in two colorways, available now. 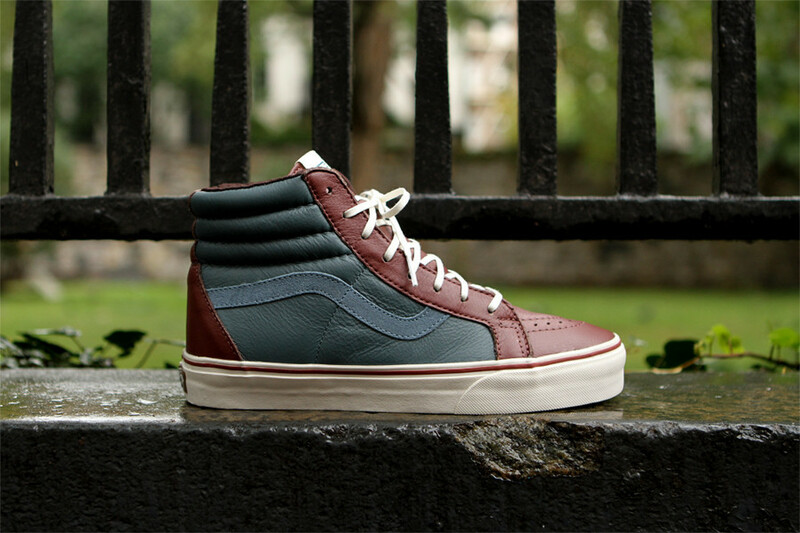 In yellow/brown and blue/burgundy colorways, the Vans Sk8-Hi gets a luxurious makeover in rich premium leather with suede accenting. 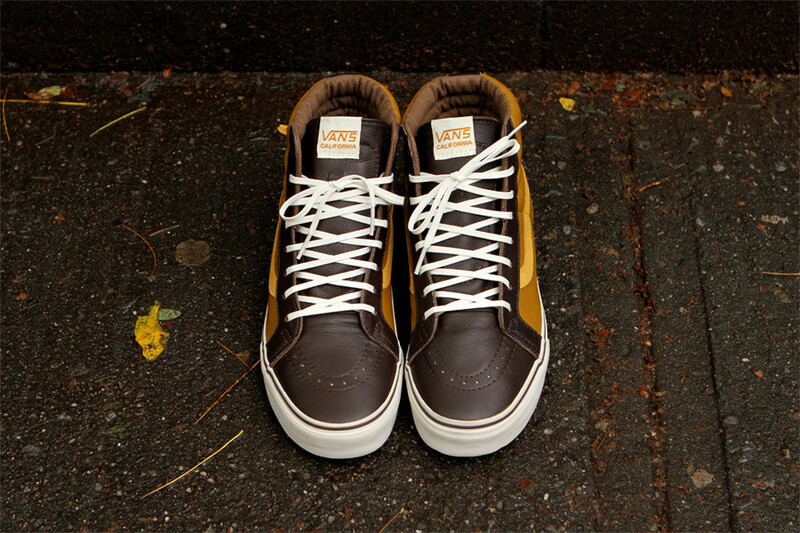 The high top is padded at the collar and footbed, as well as lined with sport mesh for maximum comfortability. 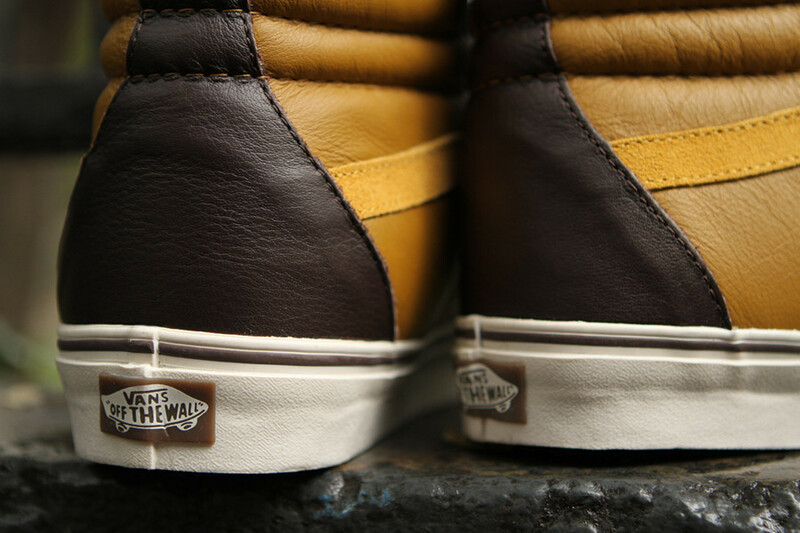 It all sits on top of the classic Vans vulcanized Waffle sole. 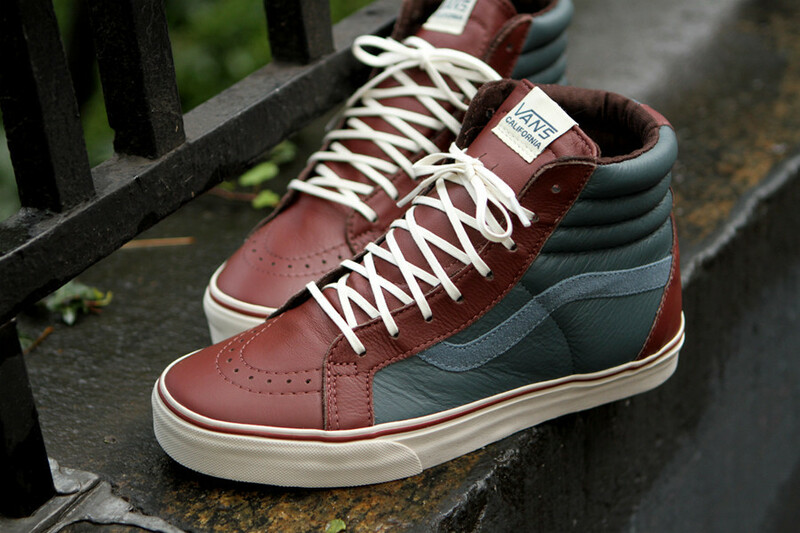 The Vans California Leather Sk8-HI Reissue is available now at finer Vans retailers such as Kith NYC.